Looking for a reliable office cleaning company? New Penny Cleaning is very conscious of how a well maintained and hygienic office space impacts on both staff morale and indeed visiting clients. We offer bespoke cleaning solutions to suit any corporate environment, working during or outside of your operational hours. Once we have liaised with you and assessed your individual needs, we will send you a comprehensive quote, highlighting each item to be addressed on every visit. Once you are happy to proceed, we will designate you a team of trained, uniformed technicians, one being a supervisor. Lastly, relax in the safe certainty that New Penny Cleaning is supporting your growing business with you. We cover all areas of office cleaning which can incorporate bi-annual carpet cleaning, exterior window cleaning and additionally dust removal from PC base unit fan vents. Contact us for a free quotation today. Why choose New Penny Cleaning for your office cleaning support? Our reputation is based on commitment to quality customer service and the support you deserve. 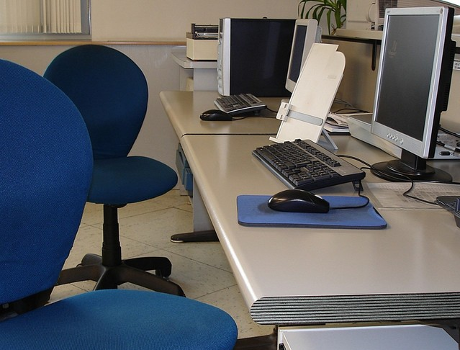 Areas we presently provide regular office cleaning services.